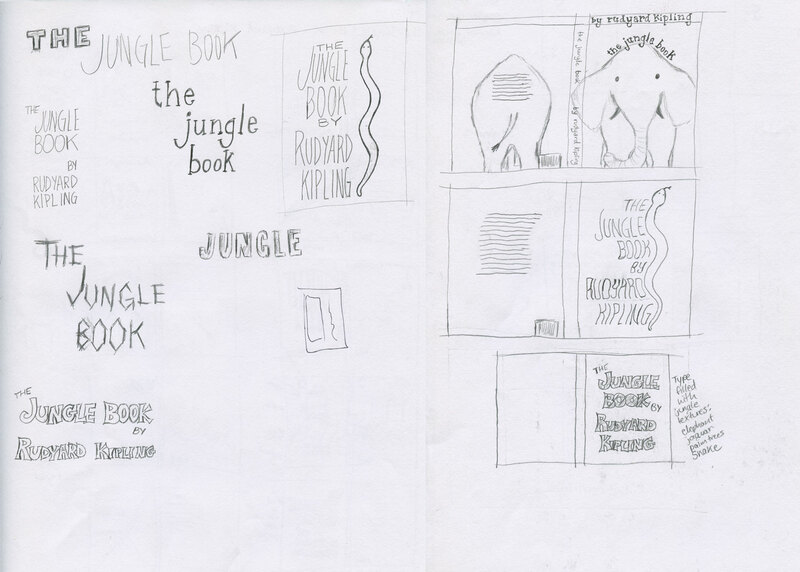 For a university typography class I was asked to design a rendition of Rudyard Kipling’s The Jungle Book. 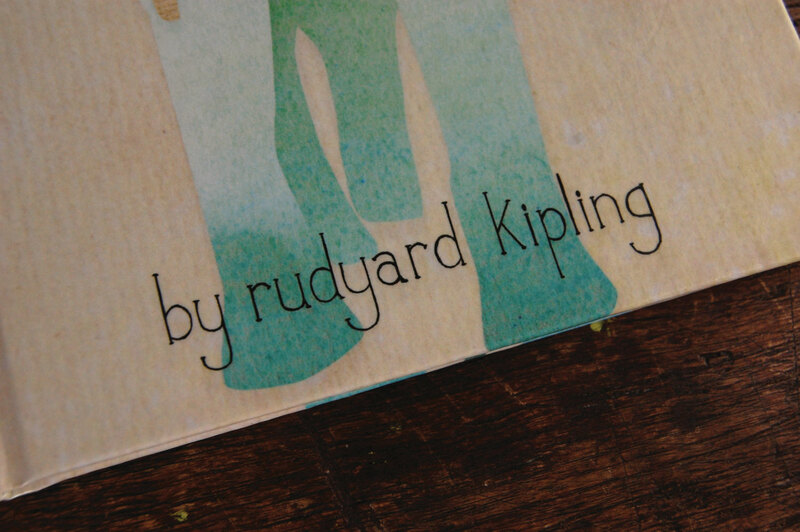 I reread the book and let the story inspire a design. 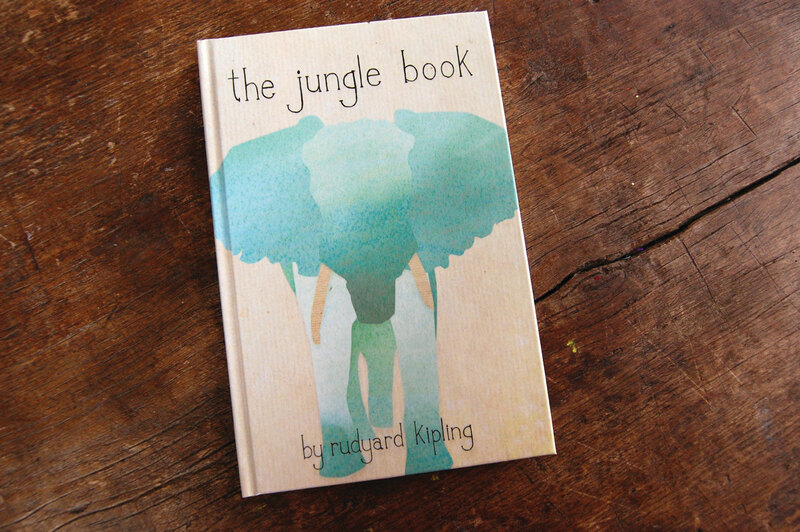 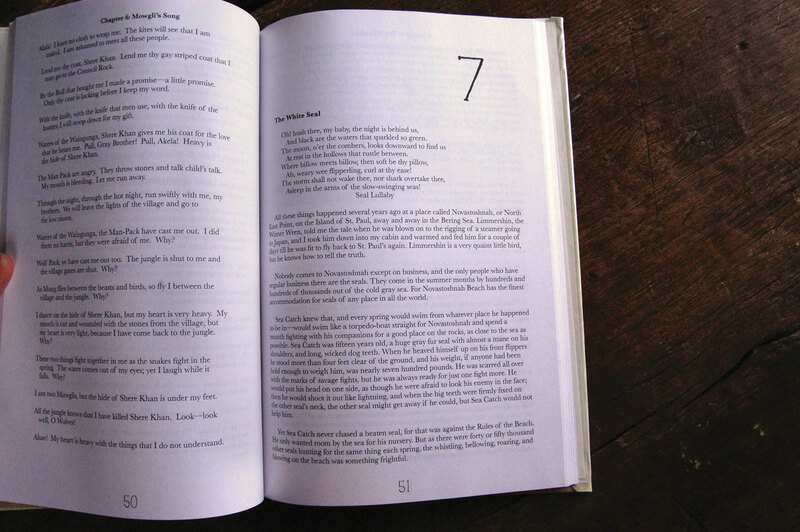 My goal was to convey the exotic textures, lines, and colors of Kipling’s jungle through a cohesive design. 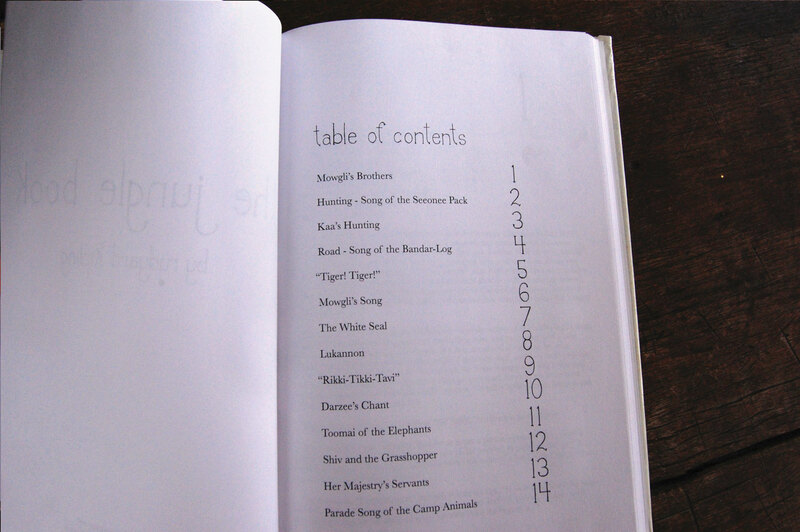 I paired my hand-lettered typography with a watercolored jungle animal for the cover and created the titles, pages numbers, and font. 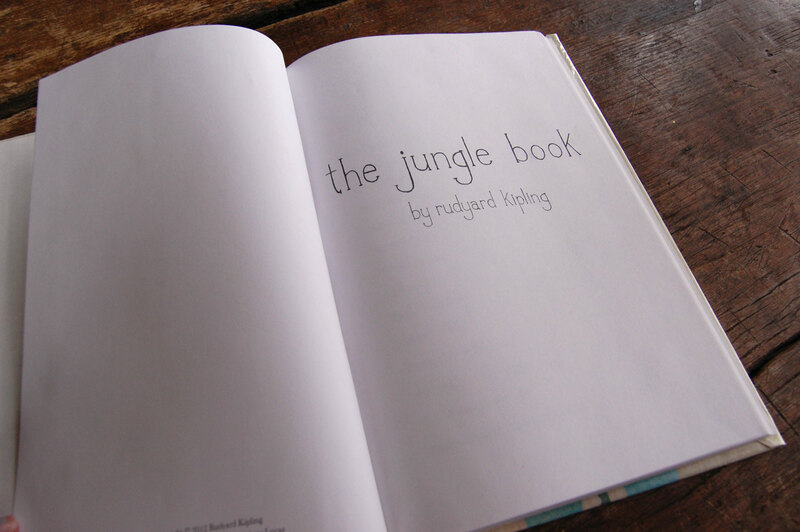 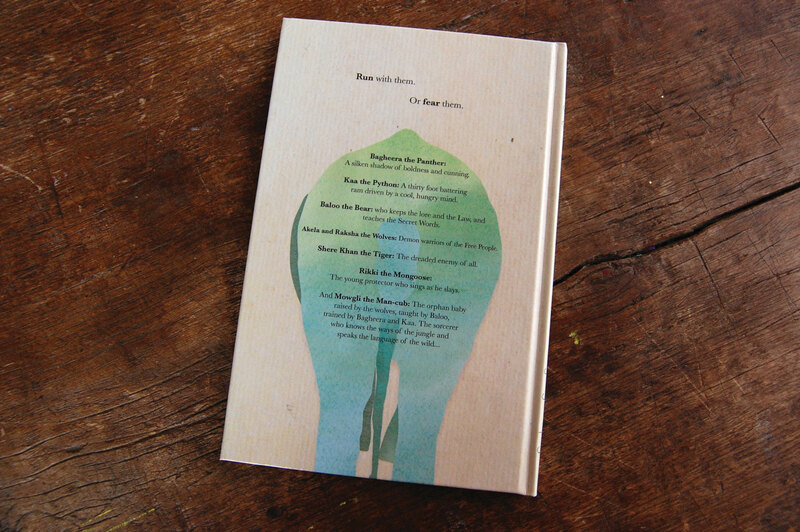 This project demanded layout publication skills, as well as a strong working knowledge of Illustrator.